Includes the Aresti Notation for maneuvers plus a syllabus that compiles the lessons throughout the book into an effective, integrated curriculum. Foreword by the French Connection. 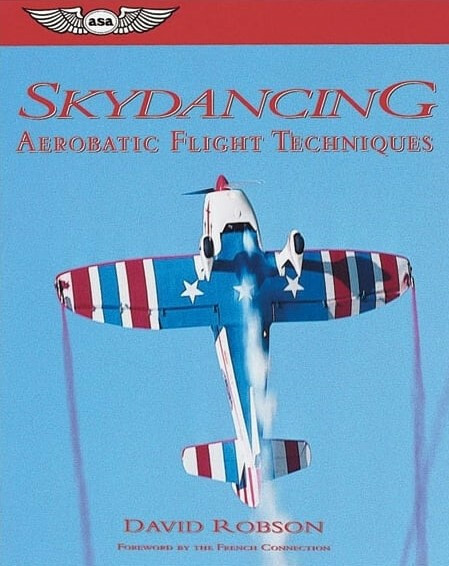 This book is designed to tempt you to explore the wonderful world of aerobatic flight. It shows the basic maneuvers in simple diagrams and the techniques for those maneuvers in simple explanations. It also provides an introduction to the effects of the forces of maneuvering flight on the aircraft structure and on the pilot's body. Aerobatic flying is the most satisfying form of visual flight and can be both challenging and rewarding. The scope is unlimited. It is very important that you learn the basics thoroughly, from someone who enjoys and knows aerobatics. Choose the training aircraft and school carefully, and fly regularly. Even if you never intend to develop your aerobatic repertoire, basic aerobatic training will serve you well in other aspects of your flying — whether for private pleasure or professional career. Someday your basic aerobatic training will come in handy.